While my hubby is still hang over from drinking last night I spoiled myself in spa today. The appointment was made last week for the manicure - my last manicure was almost two months ago, so that quite along ago. 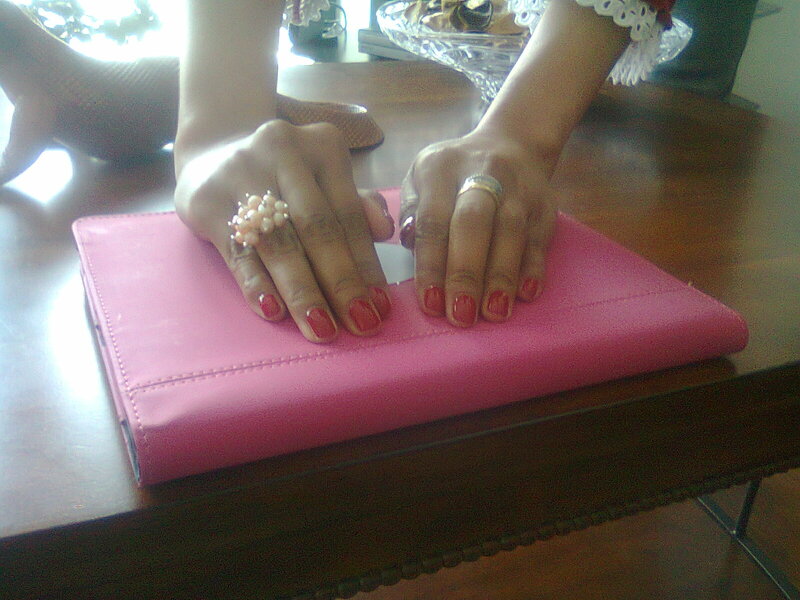 I don't usually do manicure in spa, I do it myself at home or even sometimes I ask my hubby to help me when he relax :). However, women do sometimes need to be spoiled with their things, too. The thing you usually do while in spa, especially when you do manicure is talking or gossiping. Whether you like or not, you would get interest to listen what they talk about. Like me, I like to be a listener instead of the talker, but I do talk as well to participate the conversation. Manicure or pedicure can take one or two hours to get done - depend on what type of manicure/pedicure you take. This is long enough and usually I get sleepy very quickly by this. I think that's the reason why women like talking or gossiping - to pass the time quicker while waiting their manicure/pedicure done. This morning, I had two women do their manicures, I was in the middle. The talking began when my therapist open the conversation: "Do you know what, my boyfriend leaves me. He's cheating with another girl. Bla, bla, bla..." A woman who sat left beside me reacting with her eyes opened: "Oh no". The other therapist who sat on the right beside her replied: "Are you okay?" She looked excited telling how her boyfriend leave her for another girl. "Yes, I'm okay. I'm happy he leaves me". Her friend, with supporting voice responded her: "I'm glad you're happy". Her story eventually inspired the other therapists to share their relationship story, on how her boyfriend cheated on her. The conversation began hot and hotter as we all know start to judging. For me, I don't really like gossipping or sharing my story to strangers. I talk my personal life with friends who I know very well. For a while, while listening to their conversation, I was thinking: "What's in their minds - talking about their personal life with strangers?". But something change my mind about sharing story in women, when I saw my therapist got support from the women surround her and she looked feel better about it, I told myself: "we should be glad to be among people who can understand and support us and not all about gossiping is bad". After about one and a half hour, my manicure was finally done. taraaaa ... for the fourth time I got the same colour!